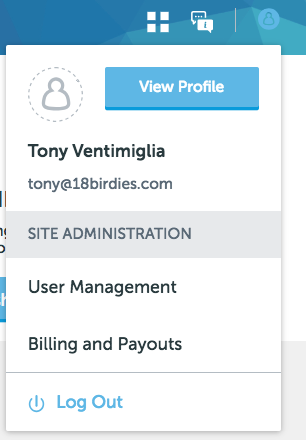 To access the 18Birdies for Business (18B|B) platform, navigate on your web browser (preferably Google Chrome) to www.business.18birdies.com/. Sign in with your Email and Password. You will first be brought to the 18B|B home page, which will provide links to the different products you are subscribed to, I.E. 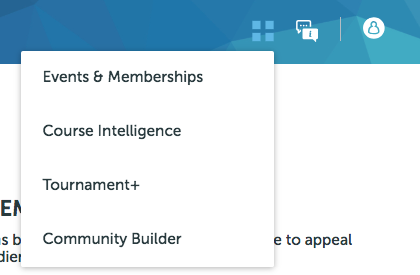 Tournament+, Community Builder, Course Intelligence, etc. Simply click on the desired product to access that specific platform. 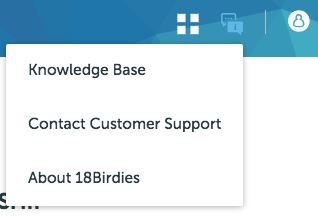 In the upper right corner of the home page, you should see options to manage your User Profile, Contact Support and access the 18B|B Knowledge Base, or switch to another product platform. Learn to manage your User Profiles, add new Users (Admin, User, or Supporter), and more. Find out how to set up a link to a bank account so you can collect tournament fees as well as edit your subscribed 18B|B software package.